Despite decades of progress, almost 1 billion people around the world still lack access to basic water supply and sanitation (WASH) services. While almost 100% of North Americans and Europeans have access to abundant clean drinking water, only around 60% of people in Kenya, Uganda and Nigeria have such access. In India, 77 million people (larger than UK’s total population) lack access to safe water, and every year, 38 million people are affected by waterborne diseases, of which over 75% are children. Since 2011, staff and students from the Department of Geography and Environmental Management at UWE, Bristol have worked in partnership with NGOs overseas to improve access to safe water supplies and research water security issues. Our work is varied but it is always locally-based. This work began with a collaboration between UWE academics (Dr Alan Terry and Dr Chad Staddon) and the National Association of Professional Environmentalists (NAPE) to improve water security in poor Ugandan communities through groundwater collection and rainwater harvesting. This initiative connected more than 100 local households (600 people) to more reliable and secure water supplies and also provided for some community education and lobbying of local officials for better water infrastructure. 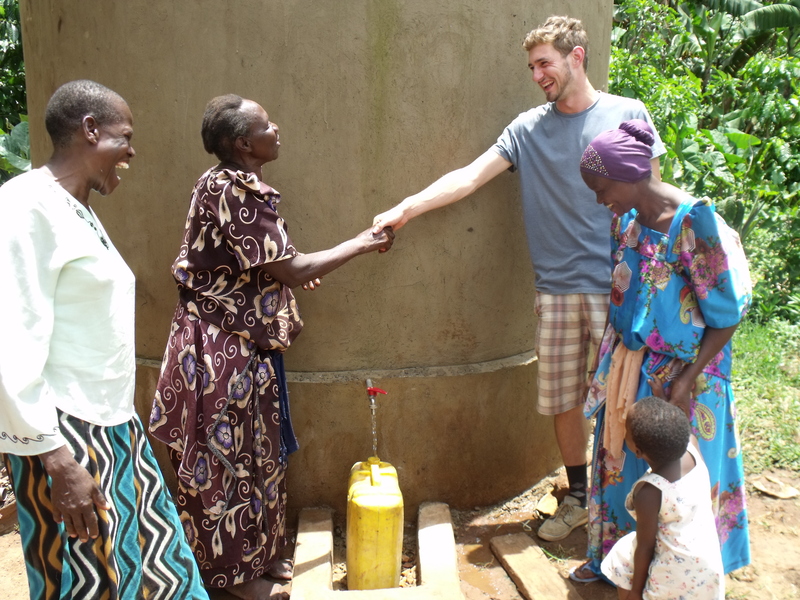 In 2014, UWE provided funding to rehabilitate two wells in Mukono, Uganda, improving water security for 5-6,000 people. The UWE Global Water Security Programme began in 2013, as part of the International Water Security Network. To date, nearly 40 UWE students from different disciplines (Geography, Engineering and Journalism) have had the opportunity to conduct research with impact on water and development issues overseas. In 2013, five Geography students visited Uganda as part of the Programme. Oscar McLaughlin developed a Water User Committees handbook with NAPE that assisted communities across Uganda manage and improve their water resources. Grace Wright undertook an evaluation of WATSAN’s intervention to improve both school WASH facilities and the knowledge of schoolchildren about the importance of personal hygiene in reducing the incidence of water borne diseases. Grace Elliott, Liam Davies, and Lucy Morrell went to Volunteer Uganda, developing water quality, governance and resilience research with local communities, and contributing to a needs assessment report that was used to identify priority areas for intervention to address the worse aspects of poverty within Kanungu District. 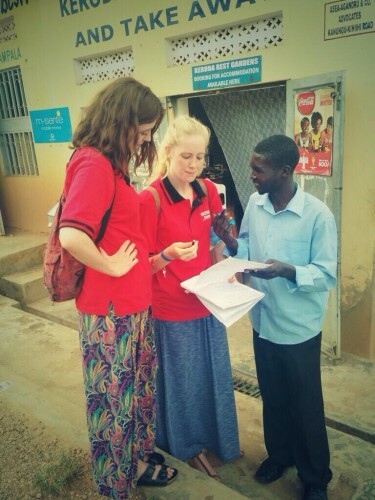 In 2014, Charlotte Whitmarsh, Elena Suckling, Jared Joseph-White and Olivia Beale travelled to Volunteer Uganda to investigate water quality, water access and sanitation in schools, and domestic agricultural practices in the face of climate variability. Seven students conducted research in Africa in 2015. 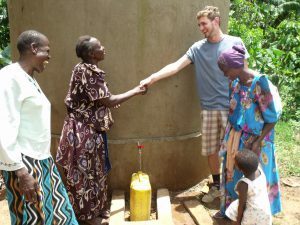 In Uganda, Cameron Halpin assessed the sustainability of micro hydro-electricity in Rwenzori; Boris Siromahov produced a short film on water pollution in Uganda and another on the Mukono wells; Josh Rogers worked with four NGOs to research the uptake of domestic rainwater harvesting systems and their impact within communities; and Harry Chrispin investigated WASH practices and behaviour change in children. 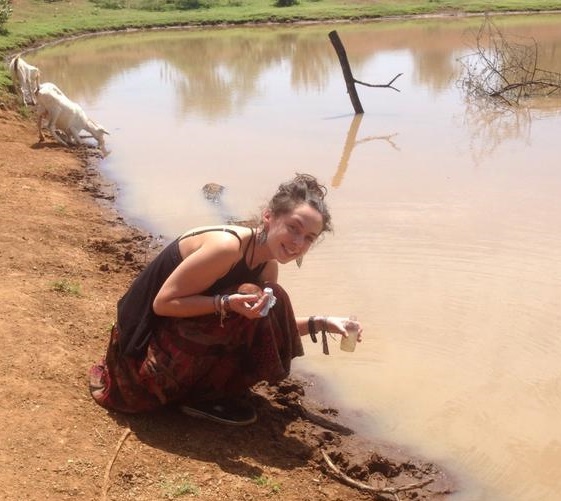 In Kenya, Molly Byrne investigated water quality and the presence of coliform bacteria in rainwater storage tanks with Kenya Rainwater Association, who are using her research to mitigate and improve the water quality in those communities; and Calum Warriner researched the role of women in community based water resource management which has assisted his host organisation, the Institute of Environment and Water Management, in developing their work on gender equality, and environmental and climate resilience. Deborah Smith travelled to Swaziland to research the impact of intensive agriculture practices on water quality in the Komati River, to provide agricultural environmental understanding and improve farming practices.